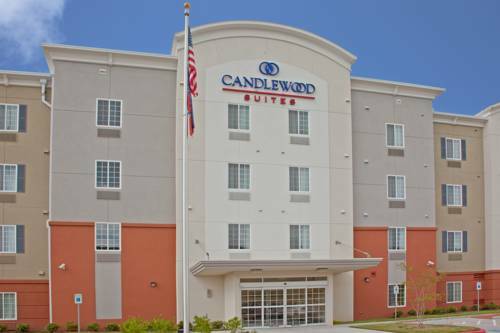 Houston Visitors Love Hotel's Desirable East Houston LocationWhen looking for extended stay hotels in Houston, choose a location with easy access to everything, choose the Candlewood Suites Houston I-10 East hotel. Guests are near Minute Maid Park (nine miles) and Toyota Center (10 miles), home of the Astros and Rockets.This Houston hotel is simply ideal for corporate travelers representing top companies such as Seimens Westinghouse, GE, GATX, Nabors, Red-D-Arc and Lyondell/Equistar. The George R. Brown Convention Center is just minutes away. Don't forget that each suite offers free WI-Fi access, too!Several restaurants are within walking distance of our extended stay hotel's location in Houston, so you can enjoy a great meal before you head out to a Rockets game. And Astros baseball fans love that the hotel is near Minute Maid Park. Wholesome family attractions include the Downtown Aquarium with its carousel and interactive fountains and Discovery Greens Park, where the fountain lake is turned into an outdoor ice skating arena.No matter how long your extended stay is in Houston, the hotel's free guest laundry facility can keep you looking good and save you time. You can work off the stresses of the day in the state-of-the-art Fitness Center and browse our extensive DVD collection in the library to pick out a favorite to watch in the comfort of the suite. Book your suite reservations with us, so we can welcome you to Texas!